Ravenna, Ohio was served by three different mainlines: the Erie, the Pennsylvania (its Cleveland line) and the Baltimore & Ohio, but all three remained on the outskirts of town. 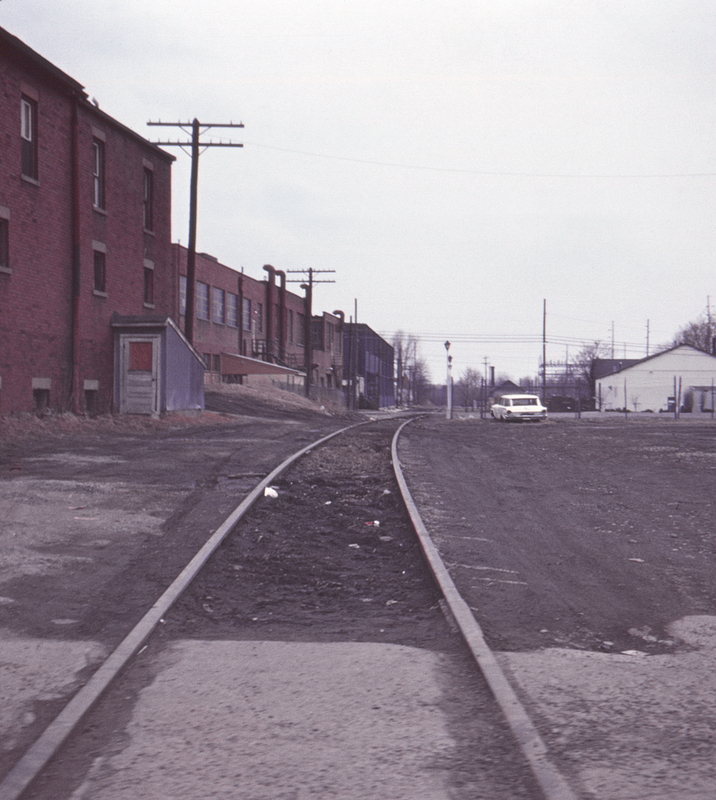 The Pennsylvania was the only one with any trackage within the city itself, a short branch connecting the Cleveland line with the Erie's mainline north of town. It's hard to say with any certainty today, but this may have been taken looking south from the grade crossing at Main Street (Ohio State Route 59).